If you think about all of the ingredients which go on a pizza, you would probably traditionally believe that a tomato base is the only way to go. Tomatoes, garlic, herbs and a little bit of sugar to sweeten. 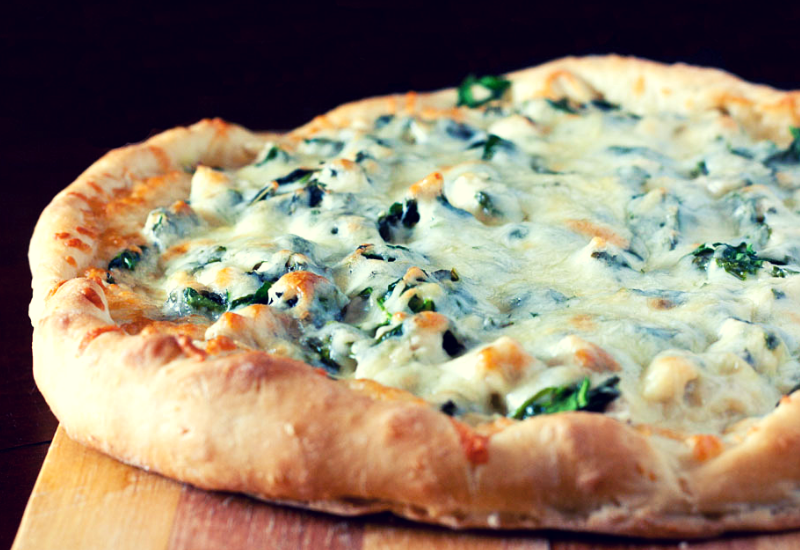 Creamy bases may not be conventional, but they are certainly revolutionary, and create a brand-new pizza experience. You may prefer creamy pasta sauces such as carbonara to tomato-based ones like Bolognese, and the idea of tomato overpowering your pizza is putting you off. Not every pizza topping goes best with tomato sauce, either. If you like spinach, mushrooms, onions, bacon or some spicy jalapeños, then trying white sauce could make a lot of difference. The flavours can balance really well with the mellowness of the sauce. The good news is that this recipe goes perfectly with pasta too, if you are after a creamy pasta sauce, or even as a cream-based pie filling. Who doesn’t love an adaptable recipe? What Does a White Pizza Sauce Recipe Include? The following quantities will make enough to top two medium pizzas generously. Top with your favourite ingredients – green vegetables, mushrooms, tuna and white meats work well. There may be no need to add further cheese as it already has a rich, creamy taste, but this depends on just how much you love cheese! It also works really well with a cauliflower pizza base – find our recipe here.